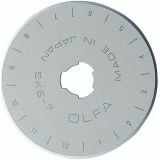 Rotary Blade Refills - OLFA Rotary Blade Refill. 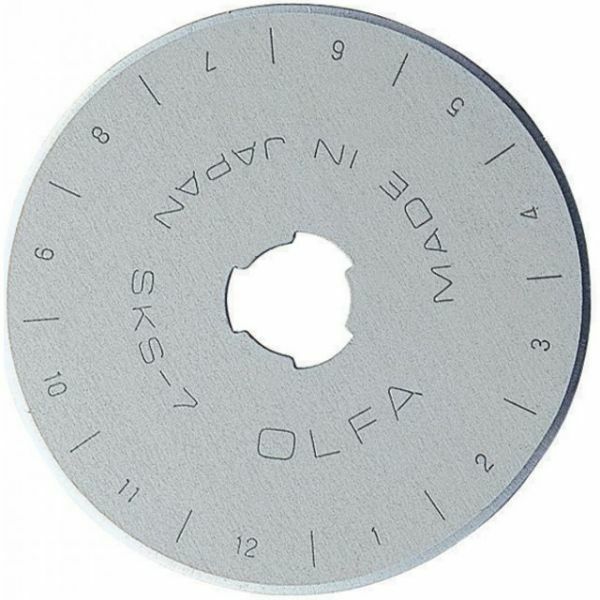 These 45mm replacement blades are for Olfa's 45mm Standard, Deluxe and Quick Change Rotary Cutter (not included). Perfect when one blade isn't enough but five is too many. Two blades come in a plastic container that you can use later for storage. Made from high quality tungsten steel for durability and superior edge retention. Imported.